addressed in our May–June sermon series? Email it to us! 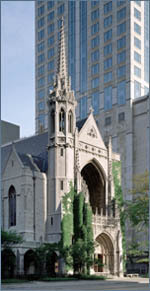 Every Sunday at 4:00 Fourth Church offers a service that incorporates jazz music. Communion is celebrated at this service every week. Music is the lifeblood of our Jazz at Four worship together. Each week, we worship with a poetic pattern of word and song. Jazz, along with its musical cousins Soul and Blues, is the primary art form through which we praise God in our worship at the 4:00 p.m. service. The heart of worship for our community is the Communion Table. Each week, we feast at Christ’s table and find our hearts fed for the week ahead. In sharing the bread and cup together, many of us find meaning and a deeper sense of belonging. Our Jazz at Four worship service has long been a laboratory for how Christians gather to worship God in the twenty-first century. This creativity and flexibility has shed new light on ancient traditions and kept us open to God’s reforming spirit. We also believe that God is calling us to continue to explore more ways to build community and deepen our relationships with one another and with God. After worship, all are invited to join us for a time of sharing coffee, fellowship, conversation, and information about church programs and volunteer opportunities. 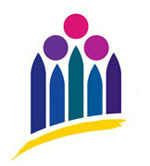 “Conversations with Clergy” are held on the first Sunday of every month at 5:00 p.m. in the Allison Library. These informal forty-five-minute gatherings offer an opportunity for conversation on a featured topic as well as an occasion for the worshiping community to get to know one another. Beginning on the First Sunday of Advent in 2018, the Jazz at Four worship service moved to its new home in Buchanan Chapel. This move to the chapel allows us to gather in ways that strengthen the feeling of community, imaginatively employ visual and musical arts, deepen forms of prayer, and demonstrate the power of the Communion table to help us experience God's powerful welcome. Read more about this exciting new opportunity for Jazz at Four. 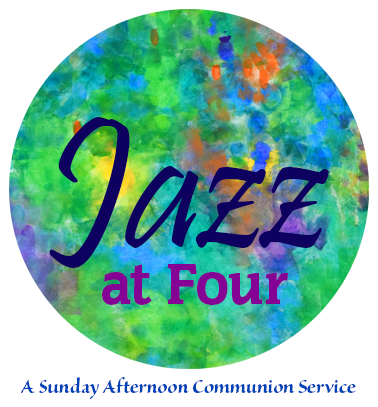 A “Jazz at Four” email with information about each Sunday’s 4:00 jazz service is sent weekly. Subscribe to receive this email at www.bit.ly/fpcjazz.